Sunny Lu – founder of the 18th largest cryptocurrency by market capitalization which is attracting growth very speedy, added his comments on the future of the network during a live chat on Youtube. The commentary started with a Mr. Lu praising the VeChain community highlighting out that it is one of the best and great examples of a crypto-community. He cited the extension of the X-node binding time window as one of the main actions the team took as a result of the community input. Accordingly with Foundation’s reward pool that holds 15 bln VET tokens, when Thunder, Mjolnir and Strength Nodes are tracked for hand-out, the overview of the X Node will resume. When it comes to the MainNet, Sunny Lu added that everything is going according to plan as approximately 90% of VEN turned to VET. Proportionally with this, he is very happy with the new Protocol – Multi Task Transactions and how it rolled out. It makes it possible to issue various transaction in one major one. As the platform hit the above-100,000 trx mark, the blockchain is signaling that adoption is on its way for VeChainThor. However, even with that score they are still somewhere around 1.5 transaction per second, and they will need a lot more to compete with existing centralized payment options. For the near term, the founder noted out the VeVID service that makes it possible for the user to verify their identity. On top of that a VeChainThor mobile wallet was mentioned. He confirmed that another partnership will be added to the current line-up of automotive companies that includes BMW and Renault. As explained by John P. Njui in a previous EWN – VET post – OceanEx is an AI powered digital asset trading platform within the VeChainThor Ecosystem. The platform uses AI technologies to provide an actively protected and ultra-liquid cryptocurrency trading market, full-fledged quantitative trading capabilities, and a rich set investment tools and products to meet a wide spectrum of investment strategies from all types of investors. 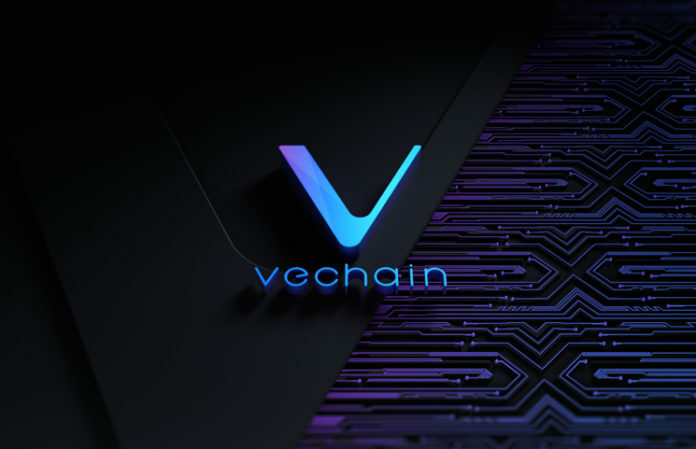 The project is currently in the WhiteListing process for those who would like to participate in the VeChain Community Round. The minimum VET required to participate in the WhiteListing currently stands at 50,000 VET (Approximately $695 with VET valued at $0.016722).